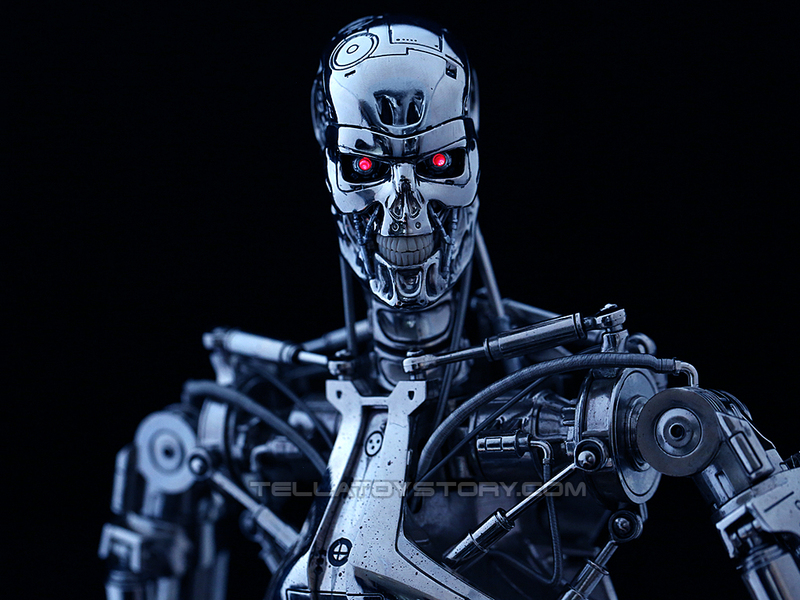 The Terminator is an advanced infiltration unit, designed and built by Skynet, to exterminate humankind. 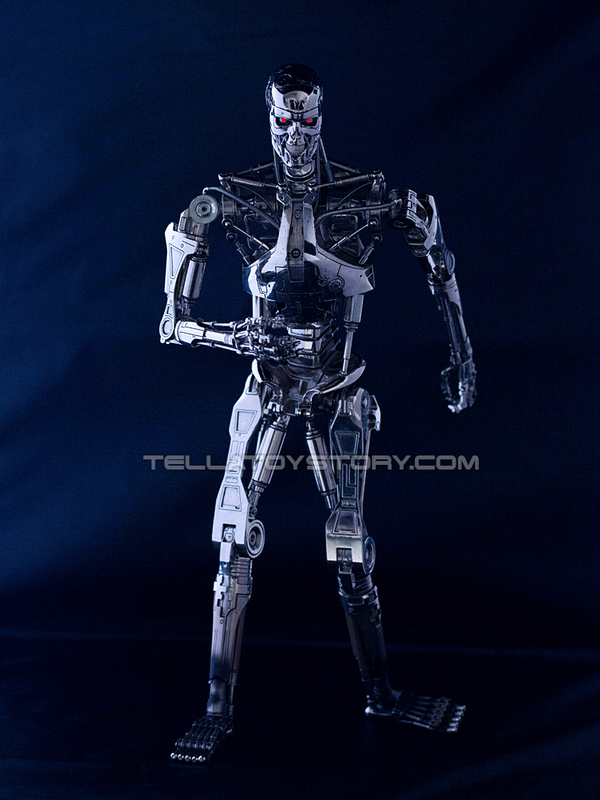 Underneath the organic covering is a hyper-alloy combat chassis. 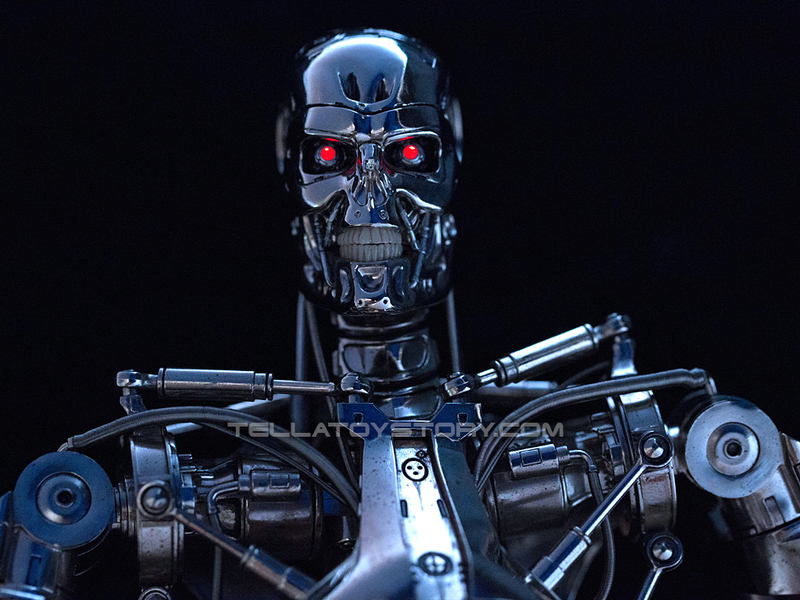 The Terminator unit is a cybernetic organism with living tissue over a metal endoskeleton. 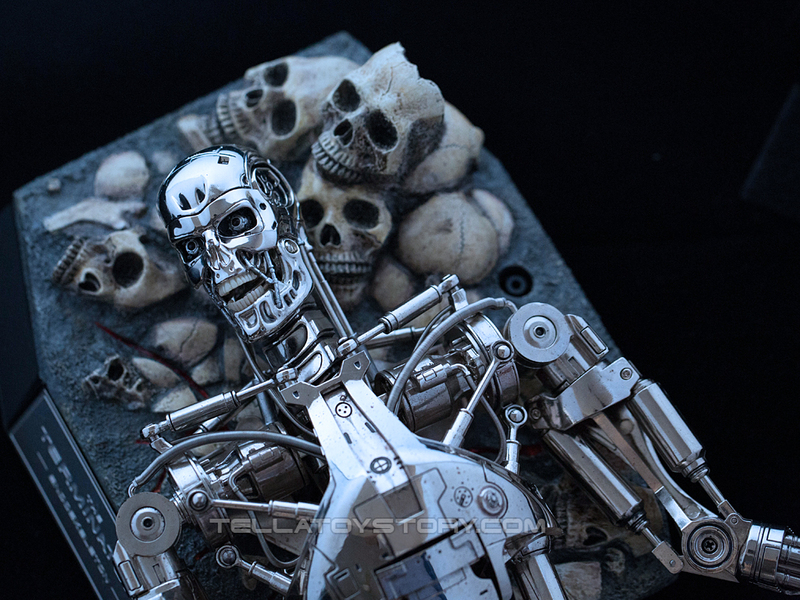 Skynet sets the CPU, a neural-net processor embedded in the skull, to read-only when the Terminators are sent out on missions alone. 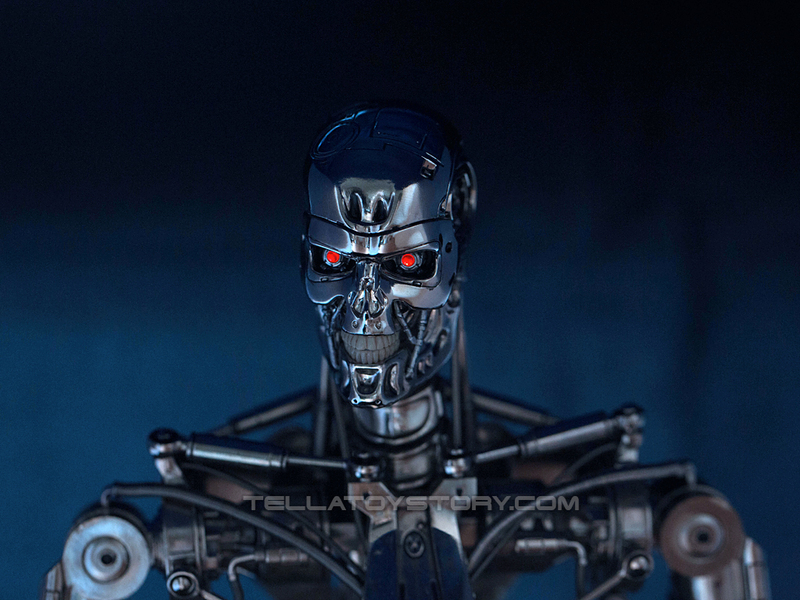 The Terminator has several vision modes through its red eyes and can see in complete darkness. 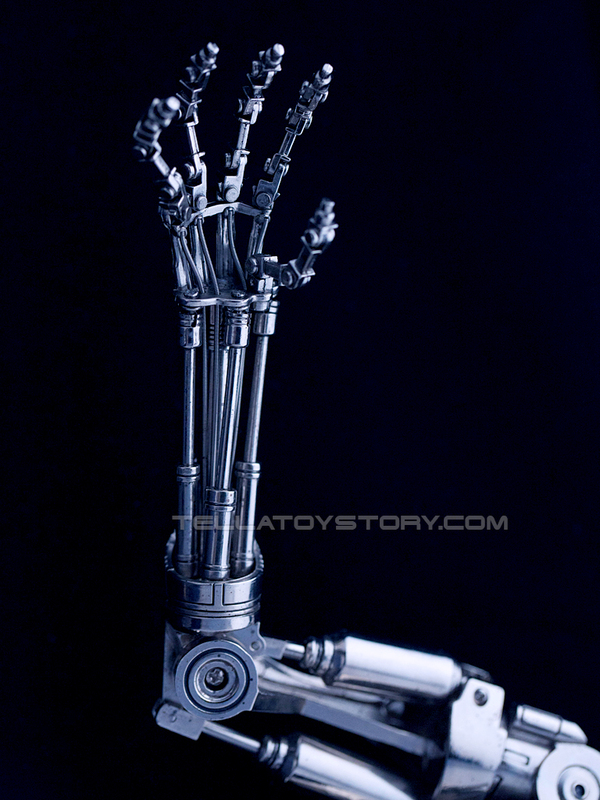 The endo arm, controlled by multiple servos and hydraulics, is capable of crushing a human hand in an instant. 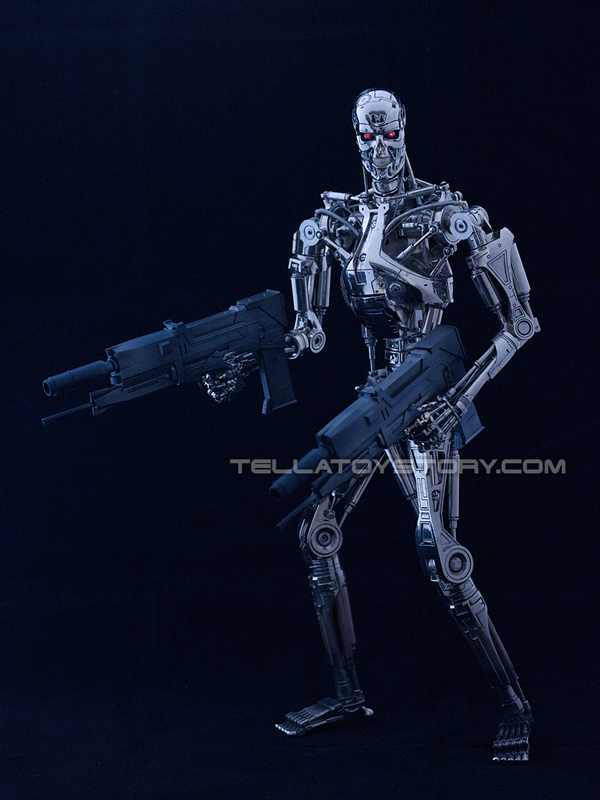 Wielding twin Westinghouse M-27 Phased Plasma Pulse Rifles in the 40-watt range, the Terminator scans the horizon for any signs of humans. 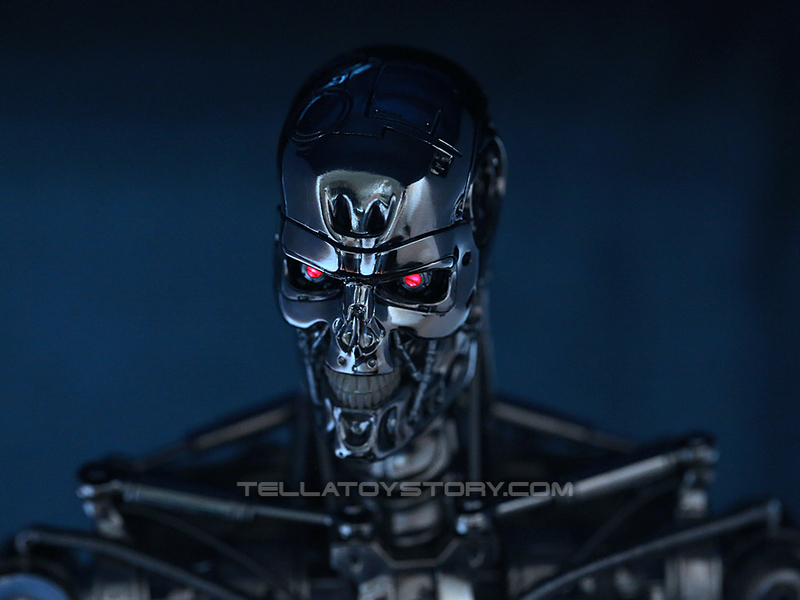 The T-800 series has a power cell that lasts at least 120 years. 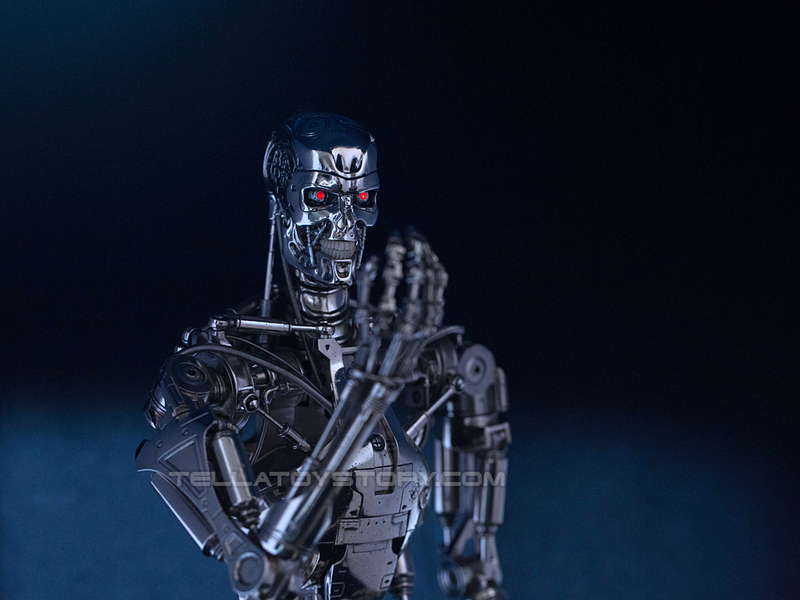 It is also able to gather heat from its surroundings as an alternate power source. 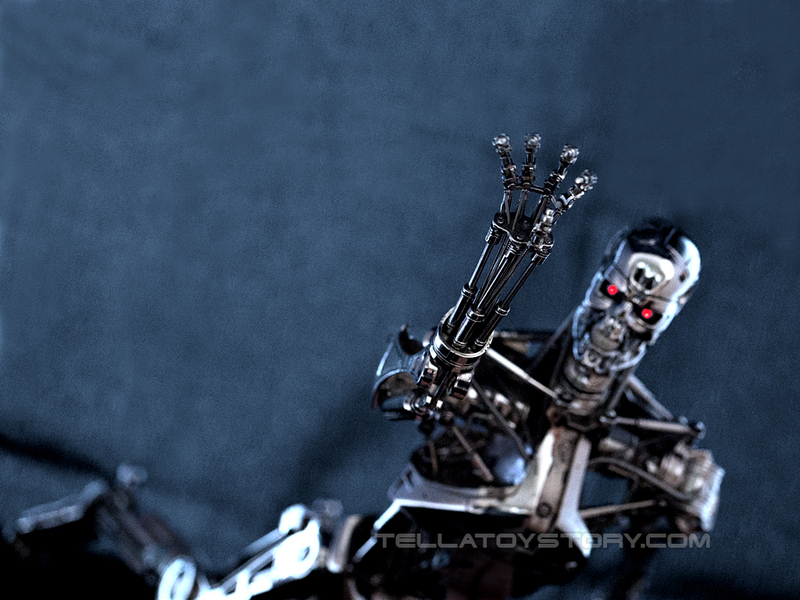 Having ran over by a truck, the Terminator limps relentlessly on its damaged leg towards its target.